From the centre of Newport, head north, down to the estuary. Walk inland, up river, to the bridge. Cross over and walk towards the sea along the far bank. Cross the golf links to the car park and out towards the headland. The path is reasonably level as it slowly gains height. There are a few interesting cliff features along here including natural arches and the impressive Witches Cauldron. The rocks around Ceibwr are severely folded too. Ceibwr Bay is a narrow pebbly inlet. It’s a perfect spot for a mid point rest. Head inland to Moylegrove if you’ve had enough. You can pick up the Poppit Rocket here. 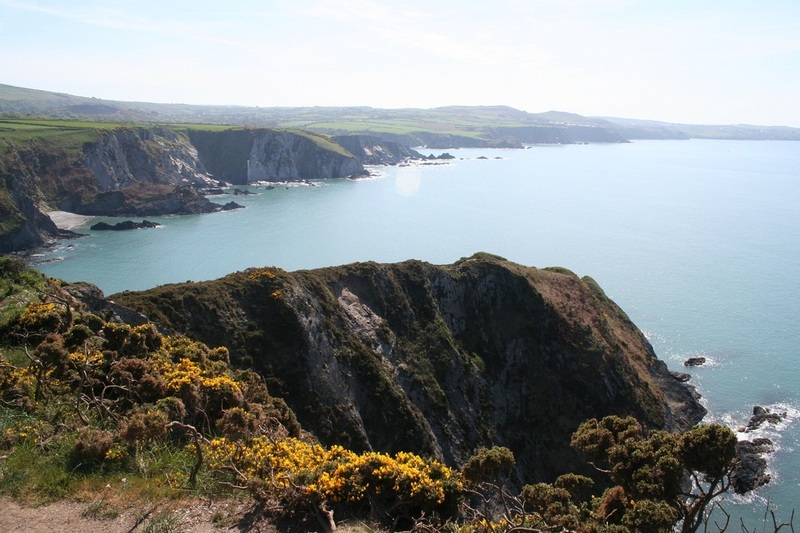 As you approach Cemaes Head, there are a number of inaccessible beaches. Dozens of grey seals give birth to fluffy white pups on these beaches between September and November. 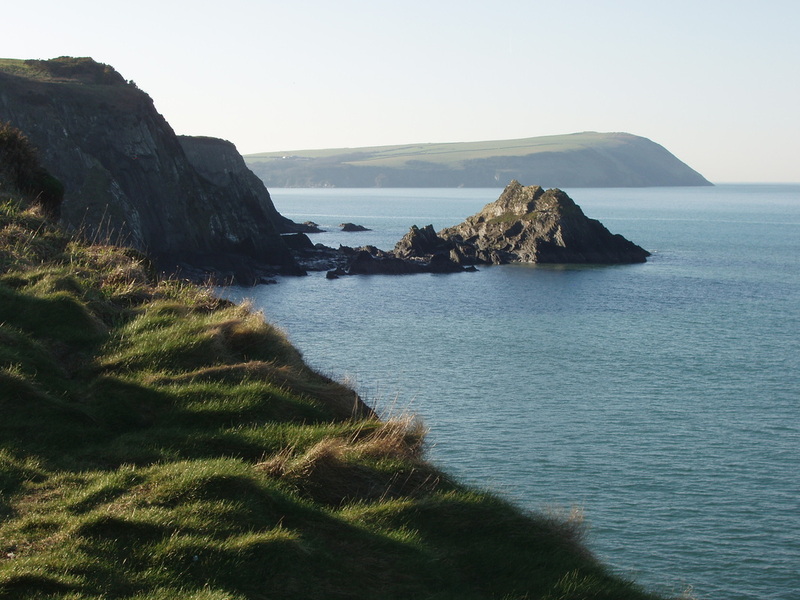 Round the corner of Cemaes Head to see the Teifi Estuary spread out in front of you. This is a really good place for porpoise and dolphin watching. Pick up a tarmac road down to Poppit Sands.